Maine Laser Clinic offers an effective solution to remove your unwanted tattoos. As a simple outpatient procedure, laser tattoo removal fits easily into your busy schedule. 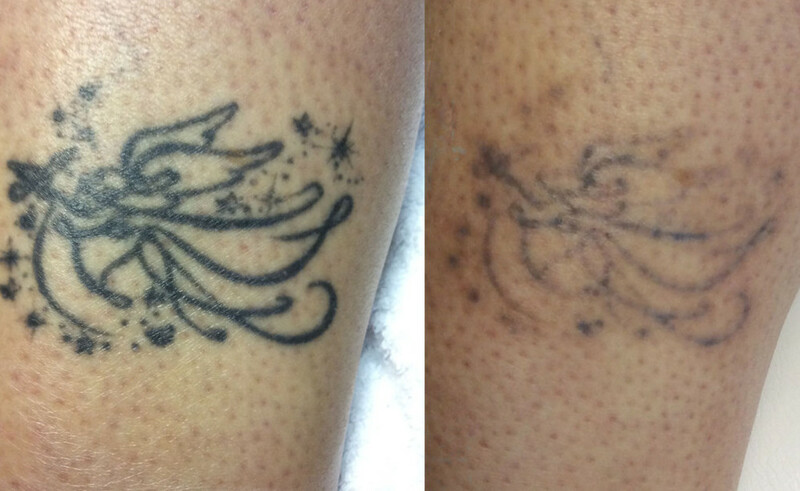 Laser tattoo removal works by focusing laser energy to break up the pigment and color in your tattoo. Our lasers are designed exclusively for tattoo removal – to give you the best results. Maine Laser Clinic can remove a wide range of colors in tattoos and permanent makeup. Our lasers use two separate wavelengths of light to remove darker (black, purple, brown), brighter (red, yellow, orange), and stubborn blue-green tattoo pigments. The laser needs only a fraction of a second to break down the pigment allowing your treatment to be completed in only a short time. Tattoo removal lasers are safer, and do not penetrate the deeper layers of skin, making scarring very rare and healing very fast. An average tattoo takes 6 to 15 treatments to remove completely. The number of treatments depends on the age, color, quality of ink, and technique used to create the tattoo (professional vs. homemade). Learn more about the process in our FAQs section or Tattoo Removal Guide. Laser tattoo removal is the safest and easiest way to remove an unwanted tattoo. With today’s technology, we are able to precisely target the ink in your tattoo with minimal side effects. The laser energy gently passes through the outermost layer of skin until it reaches your tattoo’s pigment and leaves the lower layers untouched. The skin is very rarely broken, although some swelling and sensitivity is common. For your comfort, we use a high-tech cooling system during the procedure to numb the skin prior to the tattoo removal procedure. How Doest Tattoo Removal Work? What do you use to remove a tattoo? Main Laser Clinic uses a state-of-the-art tattoo removal laser – Astanza Duality laser system. This actively Q-switched Nd:YAG laser is highly effective at removing a wide range of colored ink with only minimal side effects. This laser is FDA approved for the removal of dermal pigmentation (i.e. tattoo ink) and is the latest in a string of medical lasers designed to remove unwanted tattoos. We also use an actively Q-switched Ruby laser to treat resistant tattoos and rare colors. 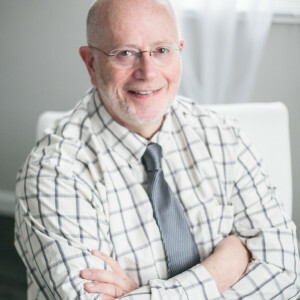 Read more about Maine Laser Clinic’s advanced technology here. How does the body remove the shatter ink? All tattoos have layers of ink, stacked on top of each other within the skin. The thick concentration of pigment particles that cannot be completely broken down in one session. At Maine Laser Clinic, we go over your entire tattoo with the laser, breaking up as much ink as possible in every session. Each session will produce some level of fading, although for very new tattoos the fading may not be as visible because the ink is still so thick and dense. If your tattoo has shading, the shaded areas will vanish in fewer treatments because shaded tattoos have a lower ink density. Visit our Before & After Gallery to get an idea of the results to expect. Do tattoo removal creams or injections work? Age Older tattoos can be removed with fewer treatments than newer tattoos. A black ink tattoo that is 10 years old may take one or two treatments fewer than a 1 year old black tattoo. A 20 year old tattoo may take two to three treatments fewer than a 1 year old tattoo. Color Certain colors are more easily removed than others. Black and red tattoos are the easiest to remove. Orange, yellow, pink, purple, brown, and other shades are slightly more difficult to remove. The most difficult colors to remove are light green, light blue, and teal/turquoise. During the free consultation we’ll discuss the number of treatments you’ll need to remove certain colors, but expect that you’ll need a few more if you have a difficult color. Location Because tattoo removal depends on the body to flush away the shattered ink particles, areas of the body with less circulation often take more time to show results. The toes, fingers, ears, and nose are areas that may show slower results. What is the cost of every session? The cost of each session depends on the size of the tattoo or tattoos being removed, with prices as low as $99 per session. We’ll price each session during the free consultation but can give an estimate over the phone. We categorize your tattoo into “small”, “medium” or “large” for the purpose of pricing, and give discounts for multiple tattoos removed at the same time. A large tattoo is normally given a custom price per session, and we are competitive in our pricing and superior in our service. Almost every patient we treat compares the pain from the procedure with that of getting the tattoo applied. A key difference is that laser tattoo removal is much quicker – most treatments take between 30 seconds and 10 minutes for completion. Patients compare the discomfort with that of a rubber band snapping against their skin. Black ink tattoos are slightly less uncomfortable to remove than colored tattoos due to the wavelength of light we use to break up the ink. Yes! Women who are pregnant or breastfeeding shouldn’t undergo tattoo removal. Some ink may contain trace amounts of material that may be harmful to a fetus or developing child. People who have an auto-immune disease like HIV or epilepsy should not pursue laser tattoo removal. As always, please consult your physician before undergoing any laser related procedure. We have been removing tattoos for a long time. No question goes unanswered. Ask us anything.